What if the average cost to educate a child was over $5,000 but you could drop it to just over $500 per child? According to a really old (1997) report on homeschooling, you could do just that by taking your child out of public school and schooling them at home. Last winter, after several days off school with bitter-cold temperatures, coupled with a few serious cases of cabin fever, I posted on Facebook that I was “feeling overwhelmed” (appropriate emoticon included) about trying to keep my cooped-up kids from fighting with each other for hours, and I wondered aloud (or at least on Facebook) how homeschooling parents handled being with their kids all day — every day. Well, let me tell you, I innocently fanned some flames. Anecdotal evidence and opinions were fired back and forth including topics such as socially awkward homeschooled kids, the terrible public schools that we have to send our kids to now, parents using school as a babysitting service, and people who shelter their kids too much. But as the comments died down, I got curious: What are the benefits of homeschooling, and what are the downsides? What are the financial benefits and downsides? Homeschooling is becoming more popular each year in the United States and other countries around the world. In addition, homeschooling households are diverse, covering a variety of religions, political leanings, parent education level, and household incomes. According to the research I found, homeschooled kids score above their peers on standardized tests, including the SAT and ACT. They are actively involved with activities outside their family such as volunteer opportunities, sports or music activities, field trips, and clubs. As adults, they attend more public meetings and participate in local community service more often than the general population. They also succeed at college at an equal or higher rate than students who attend public school. 1. Educational flexibility. Homeschooling parents have the ability to customize the education plan to their child’s unique interests and learning styles. Maybe some parents have a wiggler who does well in a hands-on environment with one-on-one instruction and the same wiggler would have difficulty following classroom rules. As far as curriculum is concerned, some states have stricter regulations of what must be covered; but in general, parents have great flexibility in exercising educational freedom. One of my friends has a son who loves robotics and is on a robotics team. Another friend requires her children to attend a Toastmasters meeting. 2. Flexible schedule. Families can go on vacation when it is less expensive. Also, attending museums during the school days means fewer people are present. If children are sick, the content could easily be rearranged to fill another time slot. 3. Efficiency. In a classroom of 20 kids, there is a wide spectrum of behavior and academic ability. Children who find school easy may get bored. Kids who struggle to learn may get overwhelmed. 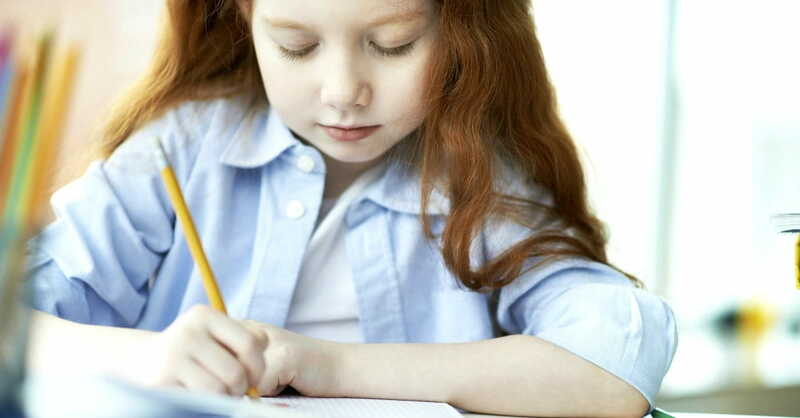 Homeschooling allows the parent to teach at a pace that is appropriate to the child, making it more likely that time is spent educating each child instead of trying to help others stay focused. 4. Some decreased costs. Homeschooling may remove some pressure to spend. (Everybody has an iPhone. I am the only kid in my class who buys thrift store clothes!) Or not. Public schools in my area are really struggling. Each year, we are asked to shoulder more of the financial burden. I have to pay school fees, registration fees, some field trip costs, and classroom supplies. 5. Learning about real life in real time. The parent, theoretically, will spend more time with their children and can teach them real-life survival skills. 6. Solid sense of identity. This is strictly my own observation, but my friends’ homeschooled children seem mature, confident, focused, and secure in who they are. I can’t help but think this will pay off as they choose a career in the future. 1. Flexible schedule. While this also appears in the list of pros above, the lack of structure may cause problems for some families. 2. Parental employment. Who will be doing the homeschooling? Most likely, homeschooling families have to operate on a single income, so how is that handled? 3. Being taught by non-teachers. Can parents handle the tough material? Teachers are required to go to school for a reason. 4. Not being prepared for college. Actually, none of my homeschooling friends mentioned this as a concern, but I still wonder about this. Are they missing out on any prerequisite classes they would need to prepare for one of the fastest-growing careers, for example? 5. Teaching multiple grade levels is challenging (if there is more than one child). One parent commented that it was hard to be attentive to all her children’s needs at the same time. But another parent likes the multiple grade levels: Her younger child gets exposed to advanced concepts earlier, while her older child benefits from reviewing more basic concepts. 6. Time commitment. All the parents I interviewed spend lots of time educating their children. Doing it well requires consistent dedication. Given that several of my friends’ homeschooled kids have (or will) start college early, they are on track to start their careers earlier than their peers in public school. Which means, of course, that they could earn more money over their careers. If homeschooling is the right decision for a family, with the right process, I think it could pay off. What are the pros and cons of homeschooling as you see it? What are the financial implications for families? Article originally posted at Get Rich Slowly. Used with permission. Get Rich Slowly is committed to helping our readers save and achieve their financial goals. Savings interest rates may be low, but that is all the more reason to shop for the best rate. Find the highest savings interest rates and CD rates from Synchrony Bank, Ally Bank, GE Capital Bank, and more.